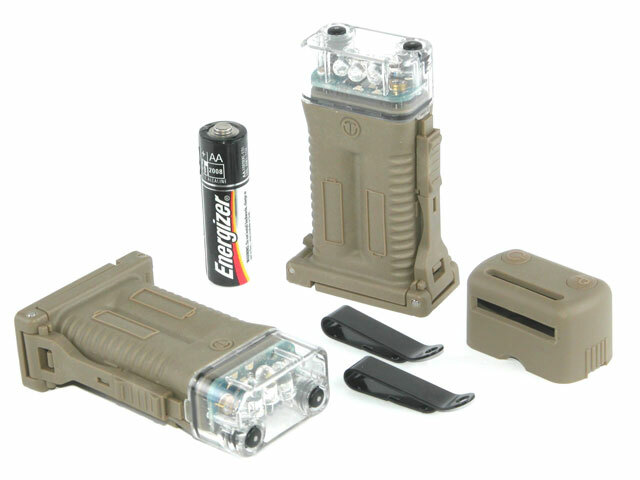 Pegasus™ 2AA | Strobes & Beacons | Adams Industries, Inc.
Pegasus™ 2AA (NSN:5855-01-618-0405) is a programmable infrared signaling beacon powered by 2 Common AA batteries. Constructed from high impact plastics, the Pegasus 2AA has been engineered to withstand harsh environments and chemical exposure. This tremendous strength coupled with a watertight design make the Pegasus 2AA superbly suited for water to land deployment and special operations applications. The beacons signal is turned ON or OFF simply by "double clicking" the power button. This double click action prevents the beacon from being inadvertently activated or deactivated. Programming and flash pattern selection is carried out via the programming button located on the top of the unit. Miniature indicator lights within the device will flash the pattern as it is being recorded by the user to confirm the code being stored. During operation, the user can reactivate the miniature indicator lights at anytime allowing the user to visually confirm the broadcast code in situations where their own night vision equipment has become lost or damaged.